My first thoughts on this month’s bag is that I’m really impressed with the variety! 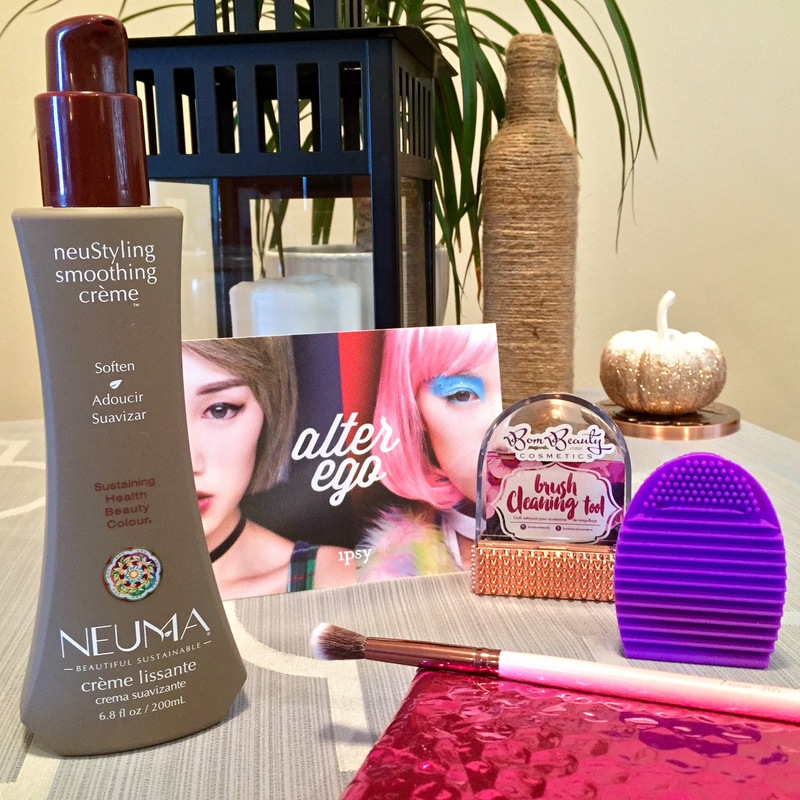 A beauty tool, nail polish, liquid lipstick, facial treatment, and a hand cream. I’m loving the assortment of products here. The first thing I grabbed was the Delectable coconut + cream hand cream because my hands were feeling pretty dry. I was surprised to love the scent and feeling of this cream. I think I’m one of the only people in the world who doesn’t love the smell of coconuts, but it wasn’t overwhelming or obnoxious at all. Smelled a little like vanilla, too, which I love. It absorbs quickly and doesn’t leave a greasy residue behind. I’m a fan. The tweezers are nice and I love that they come in a little travel case. I have several pairs of tweezers so I wasn’t like “Yay my EIGHTH pair!”, but this one is good at the tiny hairs that I usually just ignore. I also like that it’s pink 🙂 I’m keeping this one in my makeup bag. 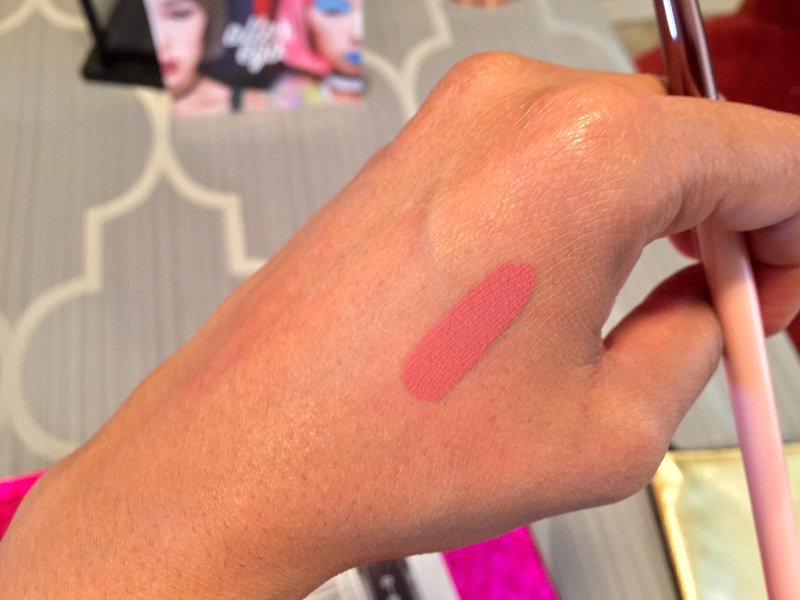 Next I had to swatch the Meet Matt(e) liquid lipstick from theBalm. I don’t own a product like this, and I literally wondered if “liquid lipstick” just meant the same thing as a longwearing pigmented lipgloss? See, this is why I need Ipsy 🙂 because no, no it is not the same. As you can see in the picture below, the product dried to a gorgeous matte finish like it’s name implies. Furthermore, I had to literally scrub this thing off hours after I swatched it. Now I can see why this is worth $17- I can apply it and forget about it ALL day. Yes please. Makes me want to buy all of their colors. The Dr. Brandt microdermabrasion exfoliant made my face feel beyond smooth. I used a pea-sized amount of it and massaged it on my damp face for 1-2 minutes like the tube advised. My skin felt amazing! I don’t know if I’ll see any of the long-term effects the product claims to have (reducing fine lines, etc. ), but I love how this scrub is finely-milled. I don’t feel like I’m being abrasive at all, it feels like my face is freshly polished without a patch of dry skin in sight. If you’re interested in signing up for Ipsy- click here! If you’re already an Ipster, I have to know- what did you get in your glam bag this month? Want to see my past Ipsy glam bags? Click here for a detailed look and value breakdown of my bag from last month. ps- be sure to subscribe below to have future reviews & DIYs delivered to you! Previous My Favorite $6 Fall leggings! 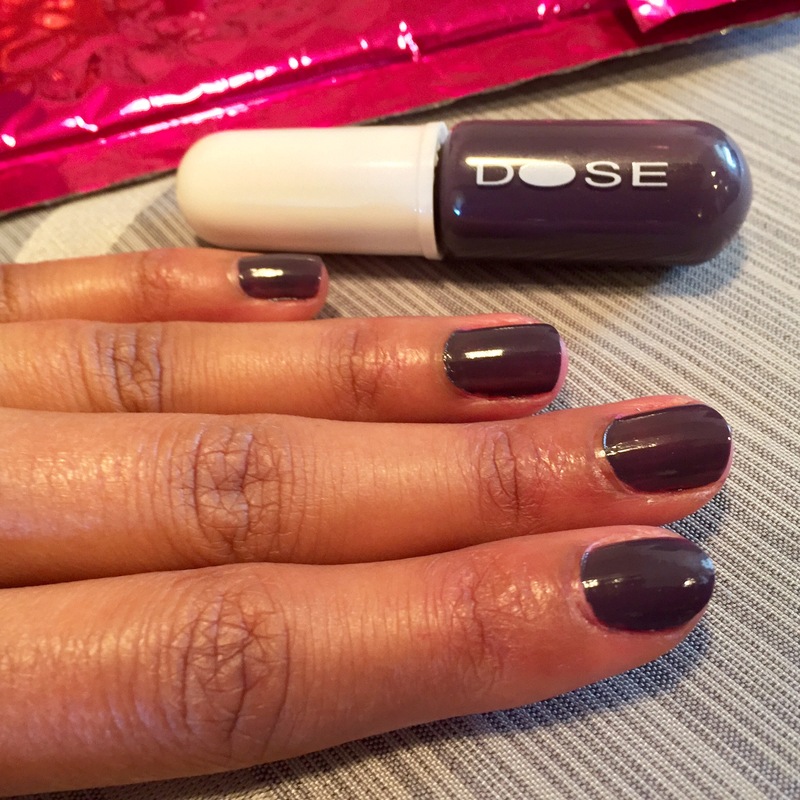 I just did a review of my ipsy bag this month on my blog I’d love if you checked it out…plus I’m jealous of that nail polish lol. Ohhh lovely bits in the ipsy box! The nail polish really suits you .. It would look great for Autumn! Also .. I love the idea of the liquid lipstick, and you also have got an excellent shade!